When I was in Lunenberg Nova Scotia I met up with two Corbin boats. One was Water Hobo (H2OBO) with Branko and Maggie on board. As you know we have been buddy boating ever since. The second was HOBO II captained by Jim - a single hander. We all set out to Brooklyn together, then to Yarmouth, and finally to Provincetown RI. On the transit across the Gulf of Maine Jim lost his autopilot and broke off to steer a course that would let him cross the Gulf but not necessarily make it into Provincetown. He made landfall in Rockport, MA and got his boat repaired. Ever since that time he has been following us down the coast trying to catch up. We of course moved every time we could get a weather window so we kept sending messages like "we know we said we would meet you in Hempstead Harbor but we got a window so we are moving on." Jim was good with this as he was trying to move when he got weather windows also. As some of you are aware I made an unscheduled trip to Madison Wisconsin leaving Reboot in New Bern, NC. Branko volunteered to take care of XO so that I would not have to try and get my kitty on a two stop all day flight path to Madison. But my stay will be a bit longer than I expected and Water Hobo needs to get down to Morehead City for parts. How fortunate that this morning I got an email telling me that Jim was in New Bern and would take over kitty duty until my return late next week. Now kitty duty is more than just scooping and feeding, XO is a very high maintenance kitten. He expects lots of rubs and pets and strokes each day. Branko has been doing a great job, I am sure he will give Jim some pointers - for example how to avoid XO's claws when he wants to play. 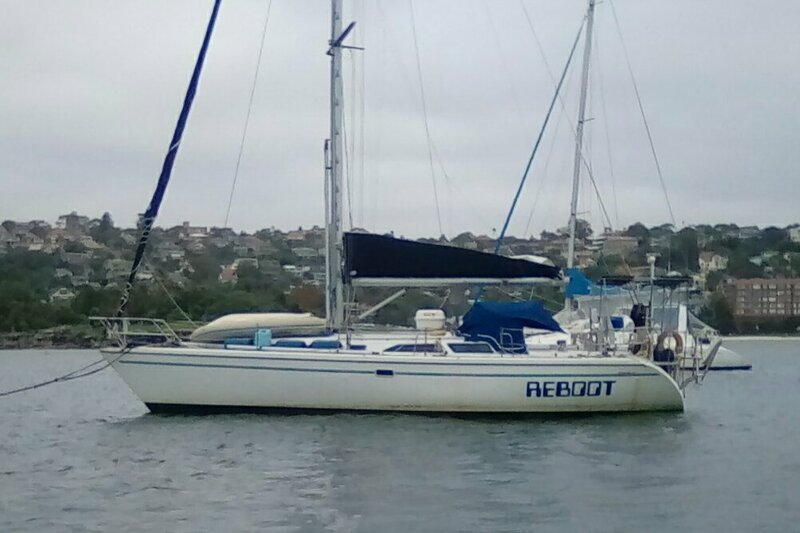 Madison is going very well but I miss Reboot and my sailing friends. I look forward to getting back and continuing my adventure to Mexico, Belize and Guatemala this winter.